The Union Budget 2018, the first budget after the GST implementation, was announced on the 1st of February, 2018. This is also Finance Minister Arun Jaitley’s last full Budget before the 2019 elections, hence the apprehension and expectation from this budget were rather high and would have a significant impact on the restaurant industry. However, it is quite disheartening to mention that the Budget 2018, has fallen short on the expectations of the Food & Beverage industry. Experts had predicted that this year’s Budget will aim to bring in reforms to further bolster the F&B industry and will focus on India’s food subsidy norms and insurance schemes. It has become evident that there is hardly any direct impact of the Union Budget 2018 on the restaurant industry. 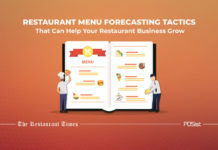 Before the budget came into the forefront, experts from the F&B industry expressed their thoughts on what the industry expected from the Budget. GST that was implemented in July 2017, has brought about a tremendous change in the Food and Beverage Industry. Considering the predicament of the situation, it should hardly surprise you if the forerunners of the industry apprehended a few changes that would have been a welcoming affair. For the luxury sector, the industry was expecting sector-specific announcements and cuts, for example, the reintroduction of Input Tax Credit for the F&B biz and granting industry status to both Indian real estate and retail sectors. 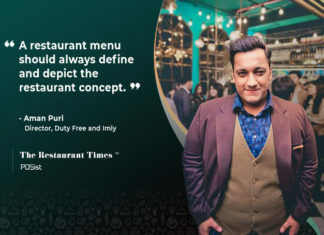 Rahul Singh, President, National Restaurant Association of India, had earlier stated before the Budget had been declared, “The government has singled out the restaurant industry by removing the Input Tax Credit (ITC). The very concept of ITC is central to and is, in fact, the raison d’être of GST, which is to prevent cascading of taxes (tax over tax). Ours is the only industry that does not receive this benefit. There are three B2B service industries closely linked with us, which are banking, insurance and real estate which post-GST, have been allowed ITC on any supply of goods including capital goods.” Hence they would urge the government to re-introduce ITC for restaurants. It takes over two dozen licenses and permissions to be able to serve a sandwich. Getting licenses in place is by far the process that most restaurant owners dread. Singh stated,”we request for a uniform policy that includes single window clearance and a reduction in the number of Licenses required to operate a restaurant”. While there has been no direct influence on the F&B industry it is rather necessary to mention that the Union Budget 2018 has brought with it a number of positive changes for the agricultural sector. These changes might increase the supply and the quality of the raw materials which would in a way have a positive impact on the F&B industry. Nonetheless, it is hardly difficult to assume that all the immense hope with which the entire industry was waiting for the budget has been severely reduced.